The seed catalogs are starting to roll in and with it comes the need to organize and figure out what next year’s garden is going to be like. So with that, I think right now is the prime time to re-post some of my garden planning techniques. This first one is how to create a schedule for your plantings. You don’t have to plan according to the moon cycles but you’ll find other helpful information about frost dates and such. I live in a very mild climate with an extraordinary long growing season. I used to just plop things in the ground as needed but nothing ever blew me away production-wise. Then I started reading about growing by the cycles of the moon. It made sense to me. The gravitational pull of the moon effects so many things, why not also plants? Also the moon offers reflective light that can be absorbed by plants. The first thing you will need to do is determine your area’s average first and last frost dates. Almost all plantings are first based off of these dates. There are several resources online to help you find this, but the most inclusive list can be found through the National Oceanic and Atmospheric Administration’s website. You want to choose the dates under the 10% columns. The next thing you want to do is figure out when your seeds will need to be planted. Once you have your planting dates for your plants it’s time to determine when during the moon cycles you should start them. For transplants that will be planted indoors or in a greenhouse you can choose the closest corresponding moon phase either before or after the given date on the spreadsheet. If they are direct sown seeds you’ll want to choose the closest moon phase after the date. To find out the moon phase dates you can check your Celestial Planting Calendar monthly pages. So what gets planted when? 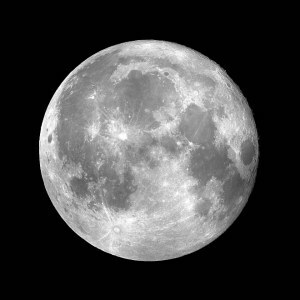 After the full moon: Moonlight is decreasing, but because of the strong gravitational pull, there is more moisture in the soil. Transplanting and planting root crops is favorable during this time. What to plant: Beets, Carrots, Onions, Garlic, Parsnips, Turnips, Rutabagas, Potatoes, Peanuts, Celeraic, Leeks, Radishes, Salsify, and any other root crop. Bulbs, perennials, and biennials are good to plant now too. After the 4th Quarter: Decreasing moonlight and gravitational pull make this a resting period. It’s a good time to cultivate, harvest, transplant and prune. What to plant: Broccoli, Cabbage, Brussel Sprouts, Cauliflower, Lettuce, Chard, Spinach, Grain crops (including corn), Artichokes, Bok Choy, Cardoon, Celery, most Herbs, Greens, Kale, Kohlrabi, etc. Cucumbers also like this phase though they are an exception to the rule. After the new moon: Increasing gravitational pull and moonlight create equal root and leaf growth. This is a good time for planting above ground crops that produce seeds outside the fruit. After the 2nd Quarter: The gravitational pull is lessening but the moonlight is increasing. This is a good time to plant above ground fruiting crops. What to plant: Beans, Peas, Squash, Tomatoes, Eggplant, Tomatillos, Berries, Melons, Gourds, Okra, Peppers, etc.